Freedman's Village, Arlington, by Alfred R. Waud. Courtesy Library of Congress. In Virginia, a state superintendent and agents in most or all of the counties and cities issued thousands of emergency rations immediately after the end of the war. Local agents helped freedpeople negotiate and enforce labor contracts in the new free-labor economy, and sometimes intervened in court proceedings to protect their rights. 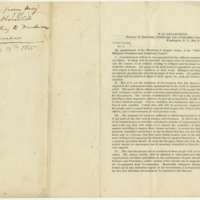 The agents also compiled registers of cohabitation and children authorized by state law in order to legalize marriages of freedpeople and legitimize their children. 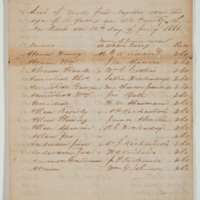 The most important and long-lasting project of the bureau was to establish schools for freedpeople in Virginia, creating the first statewide system of free schools in the state. The schools employed teachers that religious and volunteer agencies recruited to assist the freedpeople until the state government created a statewide system of free public schools for all children in 1870. 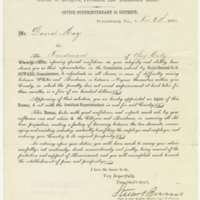 Some of the Freedmen's Bureau schools and teachers became part of the public school system. 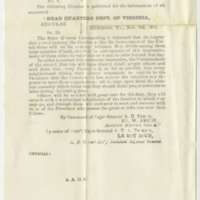 The Freedman's Bureau ceased most of its operations on July 1, 1869, and was formally abolished in 1872. 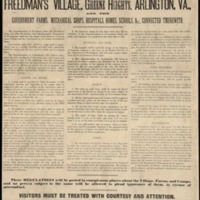 Regulations for Freedmen's Village, Arlington. Courtesy Boston Public Library.